By Raniere Silva, Software Sustainability Institute, Aleksandra Nenadic, Software Sustainability Institute, Mario Antonioletti, Software Sustainability Institute. Software Carpentry "restarted once again in January 2012 with a new grant from the Sloan Foundation, and backing from the Mozilla Foundation" . 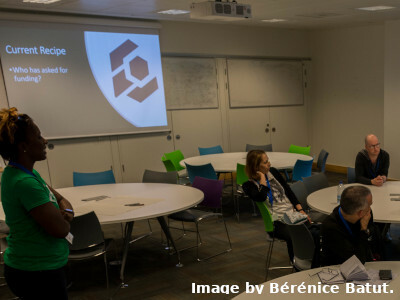 Soon after, the Software Sustainability Institute launched the Software Carpentry movement in the UK by organising and staffing the first workshops together with Greg Wilson [3, 4]. Since then, the Institute has been The Carpentries’ Platinum partner and has provided help to The Carpentries movement by funding a workshop administrator position to coordinate workshops in the UK and Europe. The Institute's staff regularly teach at workshops and have been actively promoting The Carpentries’ programmes to educational institutions around the UK. Throughout this time, we have witnessed and supported the UK and worldwide expansion of the Carpentries’ community and the rise of a number of new Carpentries (Data, Library, HPC, Social Sciences, Digital Humanities, etc.). In the UK alone, there are now 15 institutions that have their own relationships with The Carpentries and are actively running Carpentries programmes. After six years of working and communicating with The Carpentries’ staff and community via email and various video conferencing tools at all sorts of early or late hours, we finally met them face-to-face for the very first time at CarpentryCon 2018. It was all very exciting! It had been two years in planning before CarpentryCon 2018 finally took place at the University College Dublin (UCD) from the 30th May to 1st of June 2018. 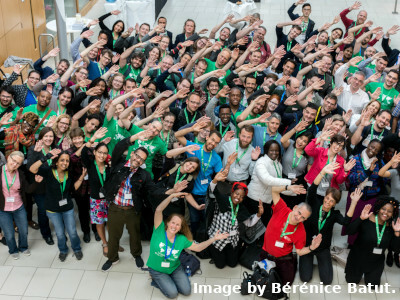 About 120 delegates from five continents came together to meet for the first time and put faces to already familiar names, share war stories, ideas and best practices, learn new skills and discuss how to make the Carpentries even better. This was the first CarpentryCon event which will hopefully become a regular biennial meeting. Five of the Institute’s members of staff attended and had a fantastic time at CarpentryCon. Keynotes, skill-up sessions, breakout sessions and workshops were perfectly aligned with each other to the point that the event looked more like a cathedral than a bazaar . And let’s not forget the great food and the venue provided by the UCD hosts at the O'Brien Centre for Science. Opportunities for networking were kicked off on the first day via a Story Circle Icebreaker and were only limited by the 24 hours in a day. All attendees were friendly and respectful as can be expected from a community that prides itself on having and adhering to its Code of Conduct. We contributed by doing lightning talks and posters, participating in various discussions and holding skill-up sessions to help people get acquainted with the tools and processes used by the Carpentries and help them better integrate in the community. 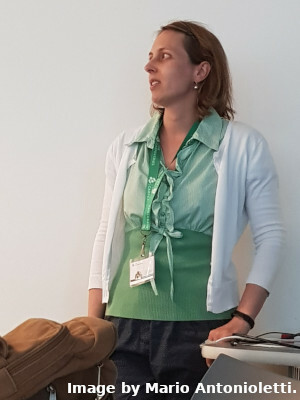 Aleksandra Nenadic (in collaboration with Elizabeth Wickes from The Carpentries’ current Executive Council) ran a session on building Carpentry workshop websites on day 2  for around 20 attendees. We kicked off by talking about workshop identifiers - how to choose them and keep them consistent across various Carpentry systems used to record or collect information related to workshops (record keeping system, survey system, workshop repository, etc.). Next we moved onto creating and customising workshop websites starting from the Carpentries’ workshop website template, what common errors are how to troubleshoot them when things go wrong. The session overran by half an hour to make sure we covered everything and we felt that people really appreciated the skill-up. Being able to do everything from GitHub’s web interface (and not having to set up and work from the command line) definitely helped lower the barrier for people to start doing it on their own. For someone who has made tens of such websites so far, it made us realise another blind spot we suffer from – never assume people will know what to do or that something is obvious. And despite all the written instructions it is so much more effective and powerful to learn in a live-coding session alongside an instructor. Two excellent points from the Carpentries’ instructor training. We are definitely planning on repeating this skill-up at the next suitable opportunity. Another contribution to the CarpentryCon programme was related to the Carpentries’ lesson development process. 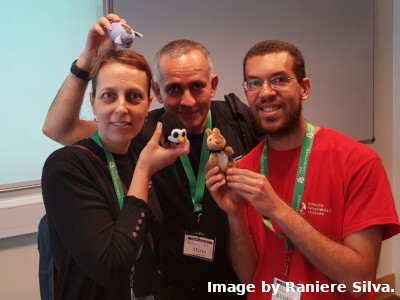 On the first day, Raniere Silva and François Michonneau facilitated the skill-up "Contributing on GitHub" that covered how to submit a pull request to one of The Carpentries’ lessons only using GitHub’s web interface and no command-line tools. The idea was to try and lower the barrier to lesson contribution in order to get more people to participate in lesson development as people sometimes feel intimidated having to set up and work from a command line. Later on the first day, François Michonneau led the breakout session "Lesson Infrastructure: how can we make it easier to develop and contribute to lessons?" which was well attended and generated a long list of things that could be improved. On the third and last day, Raniere Silva hosted the "Bring and Build Your Own Lesson 'Carpentries-style'" workshop. This workshop was again limited to only using the GitHub’s web interface to edit the lesson and demonstrated how useful continuous integration can be to find why your lesson is not being built and where it is broken. This workshop lead to some improvements to The Carpentries lesson template. The Institute’s collaboration with The Carpentries has been very successful and we are looking forward to a continued collaboration in the years to come. In this respect, we recommend attending the Software Sustainability Institute’s next Collaborations Workshop in early April 2019. Sign here to be the first to receive the official announcement. See you there, friends.